Denny Senneseth is a founding partner and President of White Pine Capital. He is an Analyst/Portfolio Manager, member of the Investment Committee and Chairman of the firm’s Management Committee. 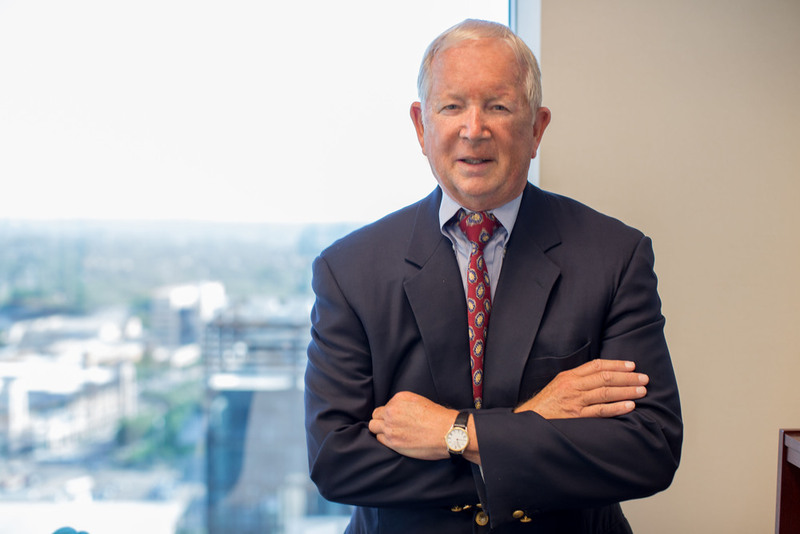 Denny began his investment career in 1973 at Northwestern National Bank, analyzing technology companies and later managing a growth oriented equity fund. In 1980, Denny moved to First Trust Company of St. Paul where he was Chief Investment Officer and managed the growth funds. In 1984 Denny opened the Twin Cities office through an affiliate relationship with Mitchell Hutchins Asset Management bringing with him several of his key relationships (many of which continue to have their assets invested with White Pine Capital) and establishing the foundation of the firm’s investment process and products. In 2000, he, along with Michael Wallace and Paula Gilmore, purchased the interest in the Twin Cities office from Mitchell Hutchins and legally formed White Pine Capital. Denny’s educational background includes an MBA in Finance from the University of Minnesota and a Bachelor of Science degree in Electrical Engineering from the University of North Dakota. He holds the Chartered Financial Analyst (CFA) designation and is a member of the CFA Institute and the CFA Society of Minnesota.